Kim VanCleef has been named vice president of Birmingham-based Quarton International, an international middle market investment banking firm. VanCleef will focus on financing advisory and mergers and acquisitions, drive potential business opportunities, and conduct company and industry interface with clients, prospects, private equity firms, and industry contacts. VanCleef brings more than 15 years of experience to her new role. 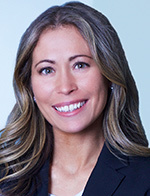 Previously, she served as principal in the Chicago office of Connecticut-based Altus Capital Partners, a middle market private equity firm. She also worked in the turnaround and restructuring group at Alvarez & Marsal and held positions at Dymas Capital, an affiliate of Cerberus Capital and William Blair & Co.
VanCleef, of Birmingham, is a graduate from the Eli Broad College of Business at Michigan State University.